We think that the best Lettuce that we have grown here this year not only for how well it does in the growing conditions that we have had, hot and dry but also for it’s great taste, it is a Lettuce that does not need a dressing or anything else with it, a Lettuce that can stand on it own, ‘Chartwell’, it holds very well which is good when you sell vegetables at the front door, we pick in the morning so sometimes things sit in the heat, these do not flag. 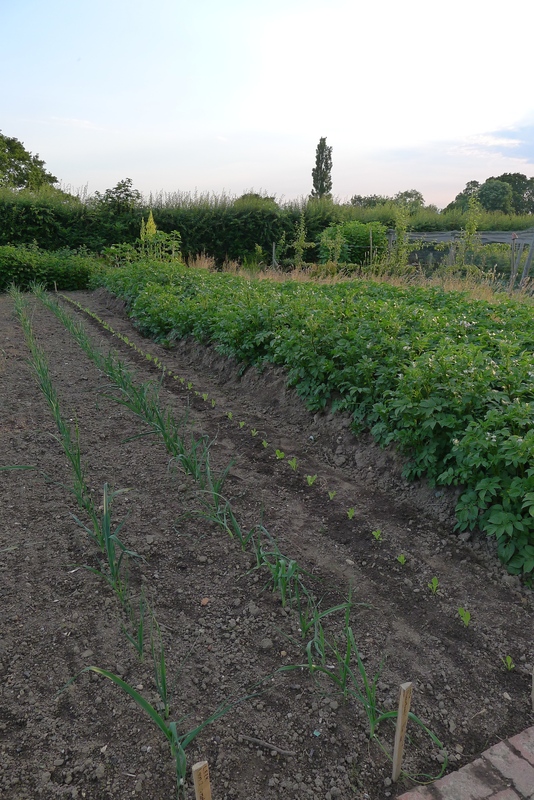 I am very sorry the row is almost ended and I have put other seed in to try, maybe a few seeds of ‘Chartwell’ will have to be sown tomorrow. So the garden world around me seems to be getting ready for rain on Friday, I do hope it is not going to be like the England world cup effort and amount to nothing. 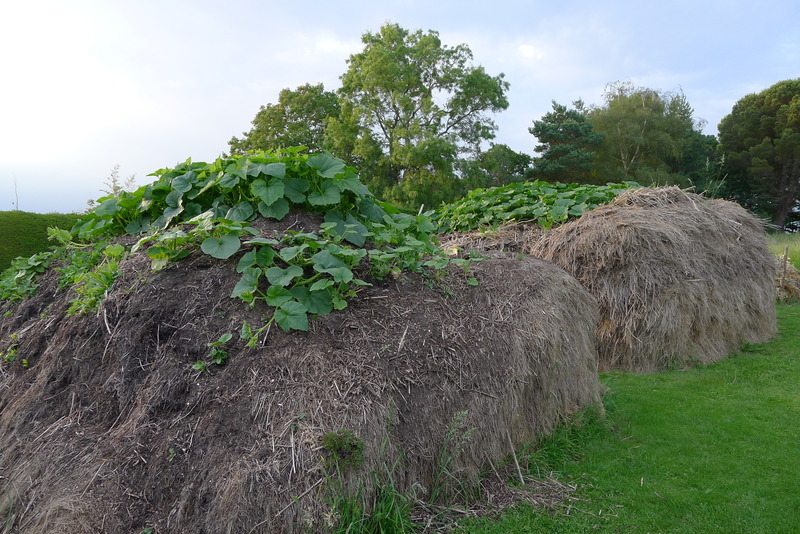 The heat wave has worked very well for the Pumpkins on the compost heap, they really have taken off and maybe going to have a bumper crop this year, I have given them water and will need to again this weekend if the rain does not come. 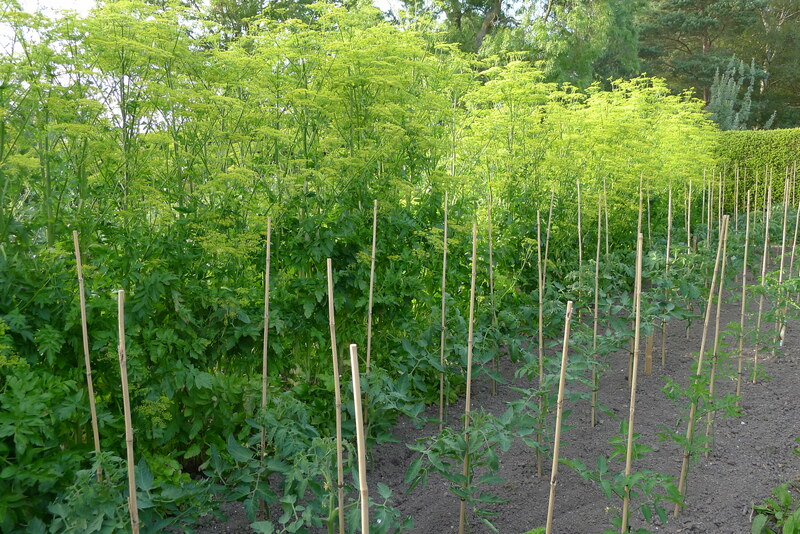 In my mind of have already started to plan what I am going to do with such good crop, soup is very high on the list. Anyone who is going to be on the November symposium should love Pumpkins. We planted another ninety Lettuce ‘Little Gem’ today, the seed was sown on the 23/04/14, they have been ready for a week now but with the weather so hot and dry I wanted to hold them a little, I had hoped that we had an afternoon of rain but we got a little but not enough not to have to water the plants in. We do still use plug trays, a lot of people would direct sow them at this time of the year but I like the spacing to be perfect and not to waste seed and so not direct sowing is best for me, when you direct sow you then have to thin out, this would work well if there was an interest in micro crops, I now know lot about this after spending the night with a man from the U.S who grows a lot of micro crops, you eat the crop when the first real leaves develop, maybe next year I can turn Mrs Next-doors glass house into a micro crop area. It is always great to be given some vegetables that you could not grow yourself, I could not get the Broad Beans to do a lot this year, they do not seem to do well for me, I am not sure why, Perry who grew the vegetables for Christopher did not seem to have a problem with them, Ed one of our students who grows them down at the farm does not have a problem and another friend Ed who is also a vegetable gardener once said to me when I told him I find it hard to get Broad Beans to grown that they were an agricultural crop and if I could not get them to grow what hope did I have….Well our Ed left some in a bag at the kitchen door last night, I will enjoying eating them tonight, maybe next year I will have a crop of my own. It is always great to be given some vegetables that you could not grow yourself, I could not get the Broad Beans to do a lot this year, they do not seem to do well for me, I am not sure why, Perry who grew the vegetables for Christopher did not seem to have a problem with them, Ed one of our students who grows them down at the farm does not have a problem and another friend Ed who is also a vegetable gardener once said to me when I told him I find it hard to get Broad Beans to grown that they were an agricultural crop and if I could not get them to grow what hope did I have….Well our Ed left some in a bag at the kitchen door last night, I will enjoying eating them tonight, maybe next year I will have a crop of my own. 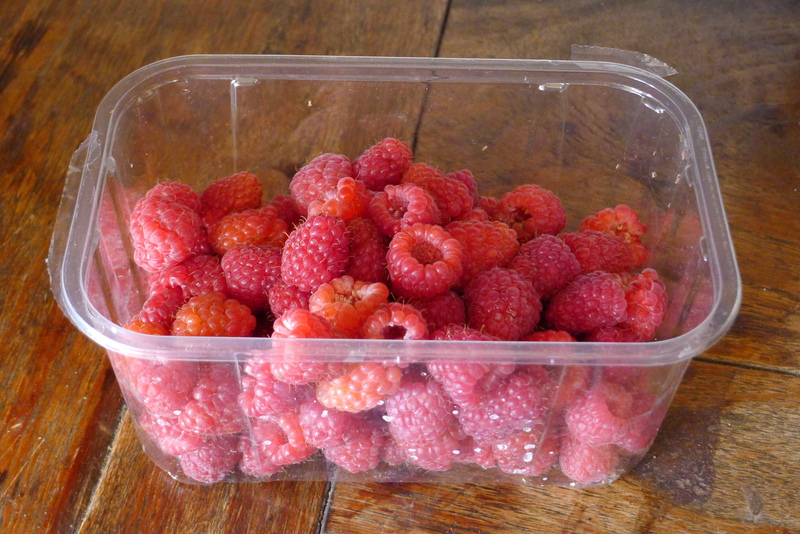 I was late today with Mrs Next-door’s pot of Raspberries, as part of my payment for the use of the glasshouse next door I take a pot of fresh Raspberries over each morning and leave it at the kitchen door, today I was late and Mrs Next-door had gone out. 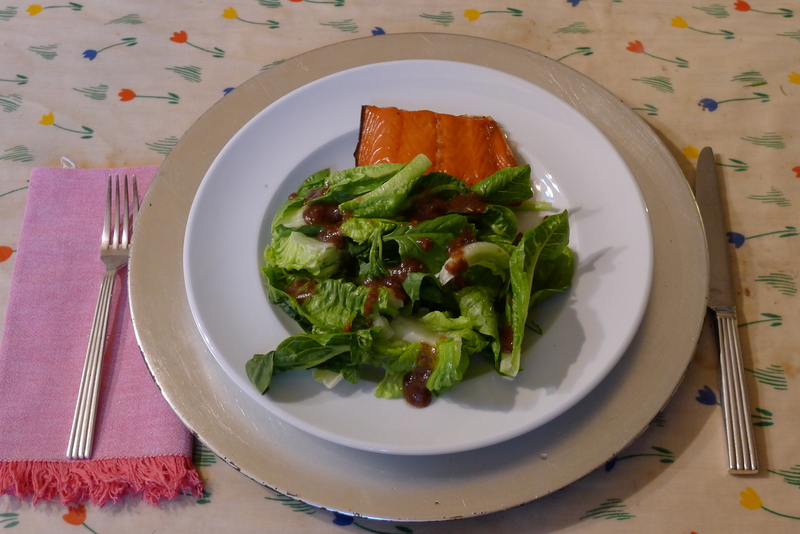 This payment is still important as I am still using the glasshouse, I have some of the Tomatoes in there that Tom gave me, which have just started to produce fruit, also Basil which is doing well unlike the plants in the garden that have not moved since I planted them. Yesterday we gave the Tomatoes another clean up, and tie up, they do seem to be doing well but I want to keep them clear of foliage lower down, I hope this will help them from getting blight from the soil, also it is good to have air movement through them (Matron told me many years ago that good air movement can help prevent problems….I have carried this into many parts of my life). The plants now look a bit like chicken’s that have spent a winter in the mud, all leg. We have not sprayed for blight yet but I am watching things closely, prevention is the best cure, another wise word from Matron. 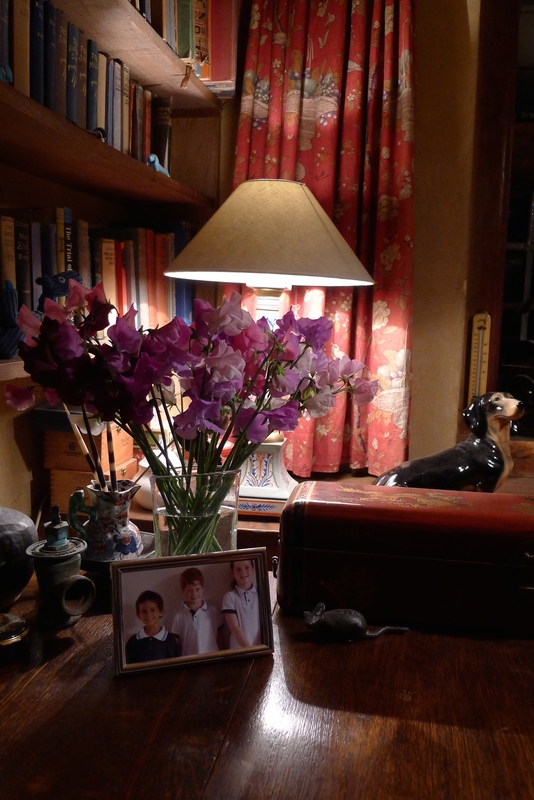 We (the dogs and me) are very happy to have the first bunch of Sweet Pea on my desk in our bedroom tonight, I sit at the computer with the windows open, this helps the scent from the flowers move across the room, and I like a cold room. The flower scent helps the bed room from smelling like a dog kennel, the dogs do not sleep in my bed but have a bed each on the floor next to my bed. I am not a great fan of cut flowers in the house but love it when the scent is so good. The problem with Sweet Peas is they go over very fast and so what looks great tonight will be over in a matter of nights, but if you do not cut as many flowers each day the plants produce seed and stop flowering.